Corboy & Demetrio has obtained a settlement of $1.4 million on behalf of the parents of 18-month-old Vance Welteroth who died after he was strangled by a looped vertical blind cord on July 30, 2010, in the Lake Bluff apartment where his family lived. The wrongful death lawsuit, filed in Cook Co. Circuit Court, alleged that the toddler strangled to death on a long, looped cord, which was installed between 1988 to 1990, and had no permanent warnings regarding the strangulation hazard from looped cords that are not secured to the wall. 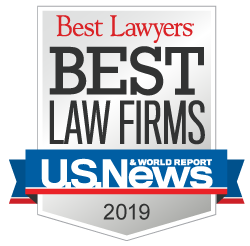 The settlement was secured by Corboy & Demetrio Partner Kenneth T. Lumb on behalf of Michelle Welteroth and Christopher Welteroth, representatives of their deceased son’s estate. Besides the manufacturer of the blinds, the defendants included the apartment building’s property management company, the owner of the complex and the owner’s representative.